WHAT IS OVER AND OUT? 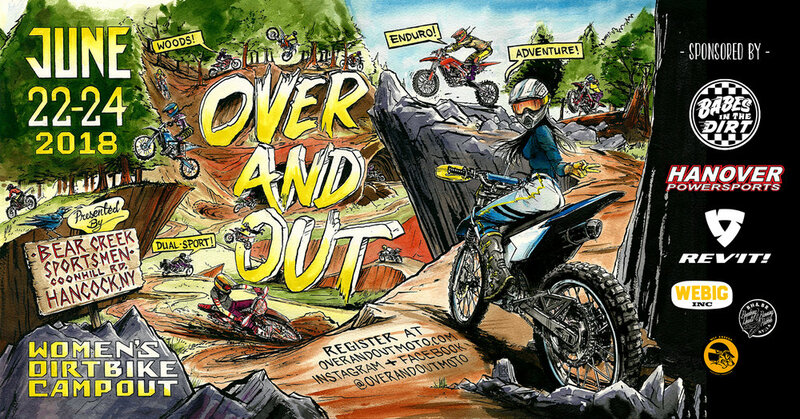 Over And Out is a ladies-only campout and riding event for all levels of off-road motorcycle riders! We've partnered with the Bear Creek Sportsmen riding club of Hancock, NY to provide access to an extensive trail network and variety of terrain for a ladies-only weekend of braaappin! Head over to the OVER AND OUT website for more information!